Over the weekend, we went to a hill station outside of Mumbai called Matheran. Indians like to travel to these hill stations high in the mountains to breathe in the fresh air and escape the heat of the city. Matheran is the closest hill station to Mumbai. And, were the roads outside of town a bit better, we could have reached there in about an hour. Instead, it took about two hours, through suburban slums, past random socialist-era factories, and in the middle of the morning rush. Although we were traveling in the opposite direction from most of the buses and rickshaw-wallahs, traffic was pretty bad. We had to keep the windows rolled up in order to avoid inhaling a thick cloud of diesel fumes. The ascent to Matheran was quite scary. 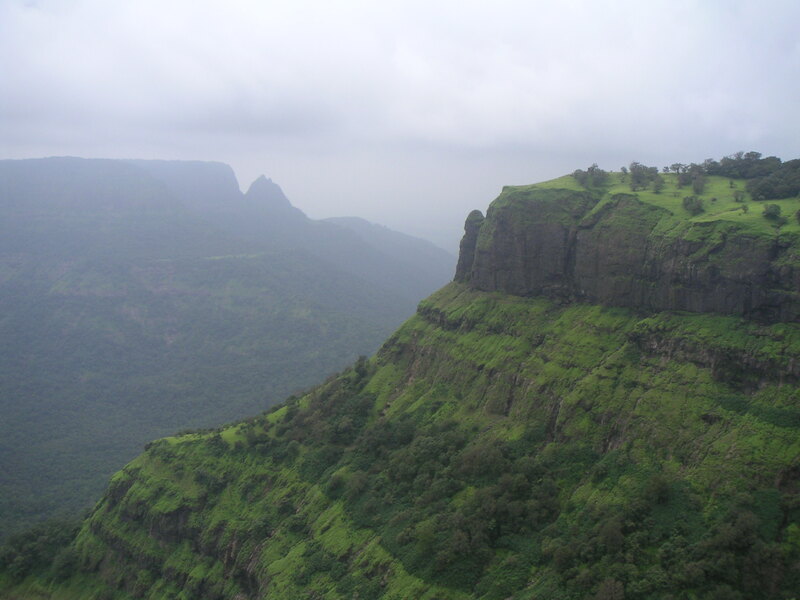 Matheran lies at a height of about 2,600 feet. The gravel road up to the station is one lane and full of switchbacks. Plus there was a light fog that made it hard to see oncoming traffic. You can only travel so far up to Matheran before you have to park your car and travel on foot or horseback. After a bit of reluctance and several turns at getting lost on foot, we finally decided that we would pay for a horse and guide. Matheran is laid out so that you can visit various points, such as Sunset Point, Lord’s Point, Monkey Point, and Honeymoon Point. 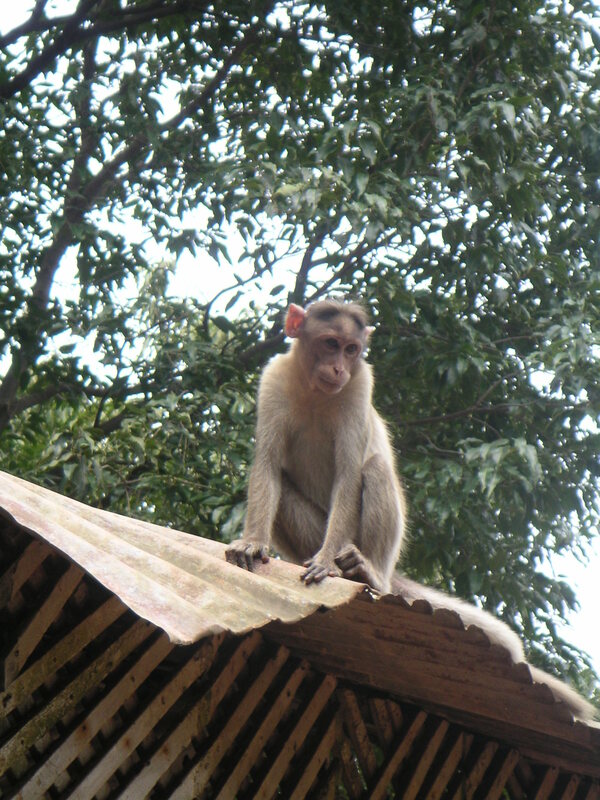 We didn’t make it to Monkey Point, because we had seen our share of monkeys by that time. In fact, I’m quite pleased with myself for making a joke in Hindi to one of my guides. As we approached Honeymoon Point, I asked the guide, “Are you sure it’s not Hanuman Point?” Get it? Hanuman is the monkey god in Hinduism. Anyhow, he laughed. I believe that the picture above was from Lord’s Point, definitely the most spectacular vista on the tour. Unfortunately, the clouds were thick. And even though the air was theoretically clearer up at those heights, the humidity was still around 90%. The temperature was a bit cooler though, maybe 78 to 80 degrees. The monsoon season isn’t quite over yet, and we got a taste of it as we were riding back to the parking area. We were on horses, soaking wet. It felt quite primitive.